AS I was walking by the H&M store on 34th and 7th in Manhattan I received this promo item handed out from a young lady. 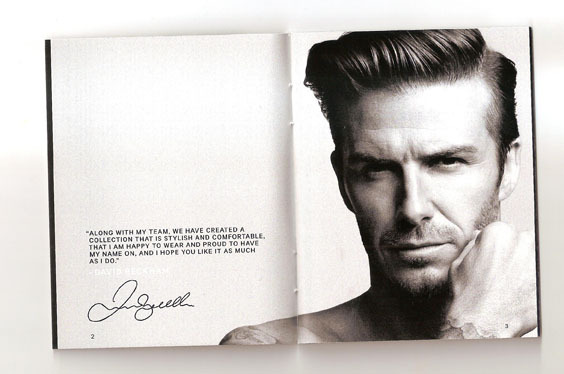 These little booklets 3.25w X 4.25h inches have 24 pages of black and white shots of Mr. Beckham in his new line of bodywear. I love these little surprise gifts that Manhattan can deliver when you least expect it. This will be added to my collection of Promo inspiration. I’m working on my own at present and this definitely offered me inspiration . Too bad I was in a hurry I might have disguised myself and gone back and forth accumulating a nice inventory for ebay! Mr. B. certainly is a collectible.